Integer Sport are pleased to announce a friendly match between Derby County F.C. and TSG 1899 Hoffenheim. The match will be played at Pride Park, 15:00 on the 29th July 2017. Derby County F.C. have had a strong finish to the 2016/2017 season, under the stewardship of in demand manager Gary Rowett and wil be pushing for promotion in the 2017/2018 season. 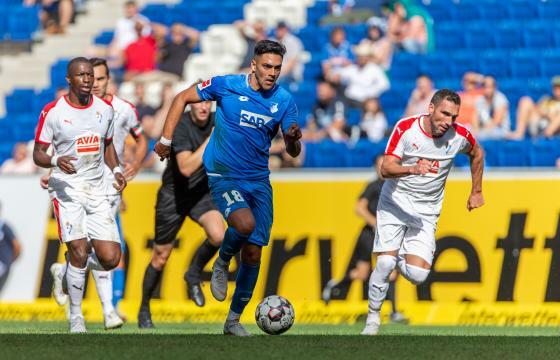 TSG 1899 Hoffenheim have enjoyed a fantastic season under the guidance of Julian Nagelsmann "Hoffenheim's baby-faced mastermind", German coach of the year at the tender age of 29 and, look set to finish in the Champions League positions in the Bundesliga. Tickets information will be available from the Derby County website in the coming weeks.